When Donald Trump became president of the United States back in January 2017, plenty in the travel industry were making predictions about how the radical shift in American politics would impact upon tourism to the country. This was due to a number of factors. Not least the new president’s xenophobic rhetoric and his intention to adopt policies restricting the rights of people depending on their country of origin and religion. This, as we’ve pointed out in previous posts, is an example of just how incongruous Trump is with the modern travel industry. It was always going to be fascinating to observe how an industry based on openness, tolerance and community would respond to the new America. The contractions were most apparent in February (-6.8 percent) and March (-8.2 percent). Travel economists have suggested that even the slight uptick in April is likely down to the Easter holiday falling in that month this year. For the TTI, as in many similar indices, a score above 50 indicates growth while a score under 50 indicates a decline. U.S. Travel Association Senior Vice President for Research David Huether said the results were in line with what the organisation expected. Currently, travel and tourism are responsible for one in nine American jobs. Inbound international travel is actually the No. 2 overall U.S. export. With that in mind, it’s no surprise that the head of US Travel believes the American economy can’t afford this troubling downward trend to continue. “The international travel market is ultra-competitive, and the U.S. is falling behind,” said U.S. Travel Association President and CEO Roger Dow. “Fortunately, there are levers the Trump administration can pull to help right the ship—continue the Brand USA tourism marketing organization, and protect policies that enable international travel to the U.S., such as Open Skies aviation agreements and the Visa Waiver Program. In the statement from the U.S. Travel Association there is no mention of the reason for the declines in international visitors. 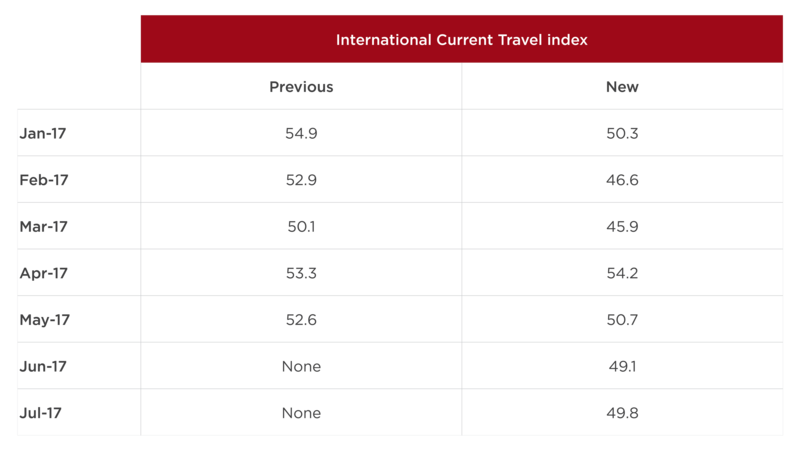 Interestingly, domestic markets for business and leisure travel are performing well and seeing growth from last year. “Upbeat consumer attitudes and solid labor market conditions continue to support the domestic travel market,” said Adam Sacks, president of Oxford Economics’ Tourism Economics group. It seems as though international travelers don’t identify well with Donald Trump’s policies and rhetoric – much like plenty of his own citizens. According to USA Today, it’s estimated that 700,000 fewer international tourists arrived in the U.S. during the January 2017- March 2017 period compared to same period last year. As you might expect given Trump’s rhetoric and attempts to enforce a Muslim ban, the steepest drops were from the Middle East and Africa, regions that sent almost 25% fewer visitors than just twelve months before. European arrivals were also down by around 10%, with 2.6 million visitors representing a 300,000 decline during the first three months of 2017. Again unsurprisingly, arrivals from Mexico were down 7% -nearly 300,000. Overall, the 15.8 million international tourists during the first quarter were down 4%, or 697,791 visitors. This decline has hit US business, too. That many lost tourists represent a $2.7 billion reduction in spending, according to an estimate by Tourism Economics of Wayne. It’s impossible to pinpoint how much the decline in international visitors to the USA is because of President Trump. But we can safely assume that his rhetoric and actions have played a part in the market contractions. Some of the President’s attempted legislation, such as the Muslim ban, had a marked impact on business travel into the US, as we reported back in February. However, consistent decreases in international tourist numbers are likely to be the result of atmosphere, not failed legislation. Trump led a divisive campaign that caused controversy among liberal Americans, minorities, and travelers the world over, including smears at Mexicans and disabled people. And his actions in office have done little to repair the damage. The USA is as divided as it has been for decades, and the resulting atmosphere is not one that international tourists are keen to engage with. The sense of a nation in turmoil has similarities with scenes in the UK, where the Brexit vote has led to a change in tourist attitudes on the European continent. According to research published by Travelzoo, a third of travelers from Germany, Italy and Spain – and a quarter from France – confirmed that they would be less inclined to travel to the UK in the event of a Leave vote. Four in 10 respondents from EU countries also worry that Brexit could make UK holidays more expensive. The latter has not quite turned out to be true, since the plummeting pound has actually caused a boost to the UK tourism market. However, the feelings of Europeans is clear: Brexit, just like Trump, suddenly made the UK seem like a destination that was unwelcoming and less appealing.